And here is his sister. See the resemblance in the eyes? But for me, the most fun to paint were those lips! This adorable boy doesn't have his beautiful mom's coloring, but he sure has her eyes. Originally from northern Michigan, Jessica now makes her home in the Hudson River Valley. 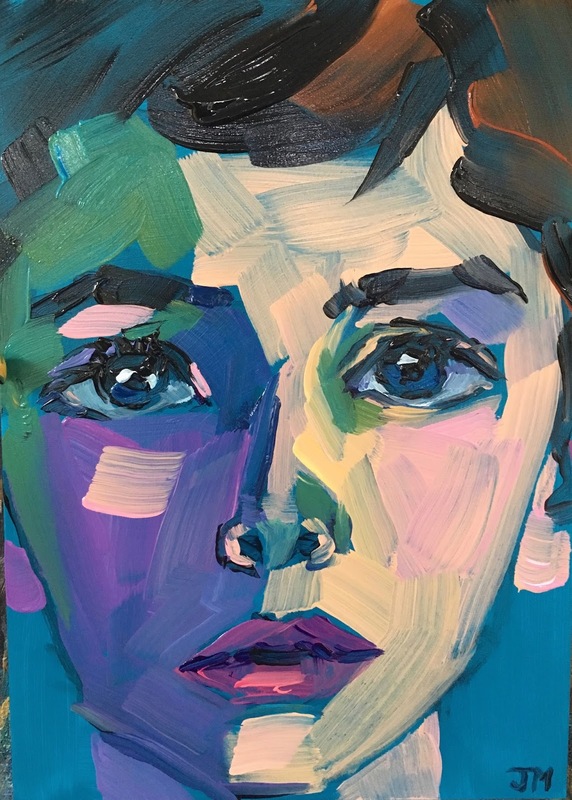 She is best known for her portraits, recognizable for their expressionist style and vibrant color. Particularly popular are her half-hour portraits, small paintings done in one quick sitting, which effectively capture likeness as well as mood. 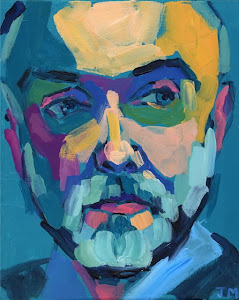 After graduating from the University of Michigan, Jessica studied at the School of Visual Arts and at the Art Students League in New York, with legendary painter Hananiah Harari, later continuing her studies with acclaimed portrait and landscape artist Andrew Lattimore. 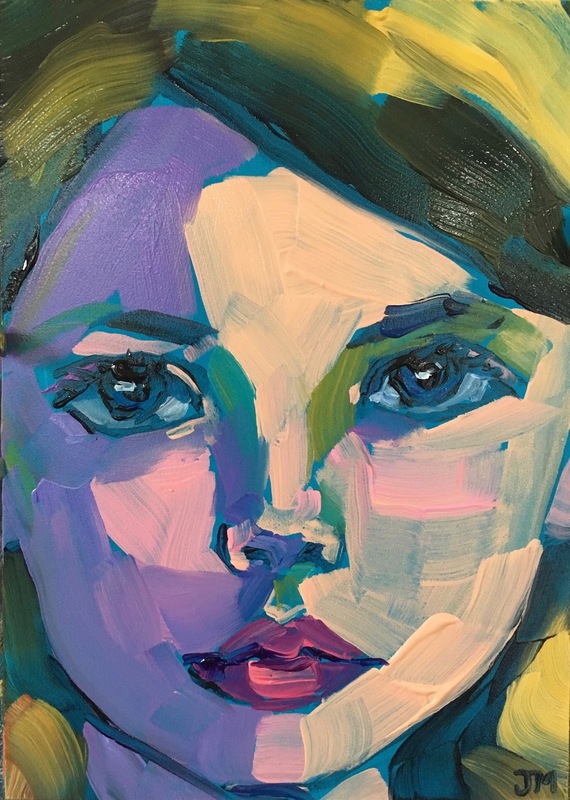 Her work is shown regularly in galleries in New York and hangs in private collections throughout the U.S.
Jessica, I just opened up my portraits and am over the moon in love with them!! They are wonderful and look so much like my boys!!! I'm dying!!!! They are amazing!! I love them! You have made me so happy!! Thank you for sharing your wonderful talent with me!!! ... the paintings are %#@*ing amazing!! I can't explain to you how happy I am with the paintings! They are simply AMAZING. You have captured all four of my children just perfectly. My husband was beyond pleased with them as well!! I have to say that I am usually skeptical, and sometimes cynical about family "portraits." I have seen various ones hanging on family and friends' walls, and they are not always flattering. The 5 that you made for us are pretty special. You captured all the kids artfully and beautifully. Thank you so much! Love, love portraits! in fact, everyone who sees them loves them. You are so talented. Jessica, I can't thank you enough for this! I opened the package and started crying the minute I saw it! You completely captured the expression of both of my sons--a difficult task, especially with a two month old! You got everything done so quickly and made the process so easy and I'm so very grateful-- your gift made my husband's 40th birthday perfect :) Thank you again for what is now my favorite piece of artwork!